The Smith's Fork Site (23CL223) is a prehistoric site on property managed and protected by the US Army Corp of Engineers. The site was recorded with the Archaeological Survey of Missouri in 1976 by Professor Pat O'Brien from the University of Kansas. 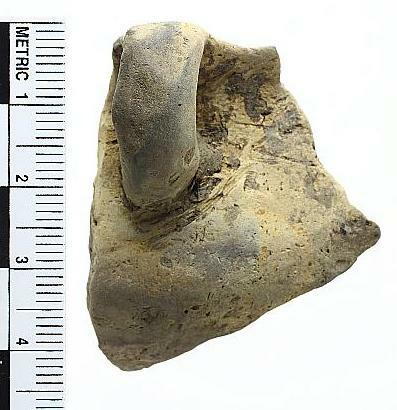 Features and artifacts were documented at the site during 2009, 2010, and 2014 belong to the Steed Kisker Phase - a Mississippian culture group situated in the Kansas City area. The artifacts and notes related to the site were documented by the Veterans Curation Program in St. Louis, MO. Image taken from the MA thesis prepared by Douglas Shaver (2009). 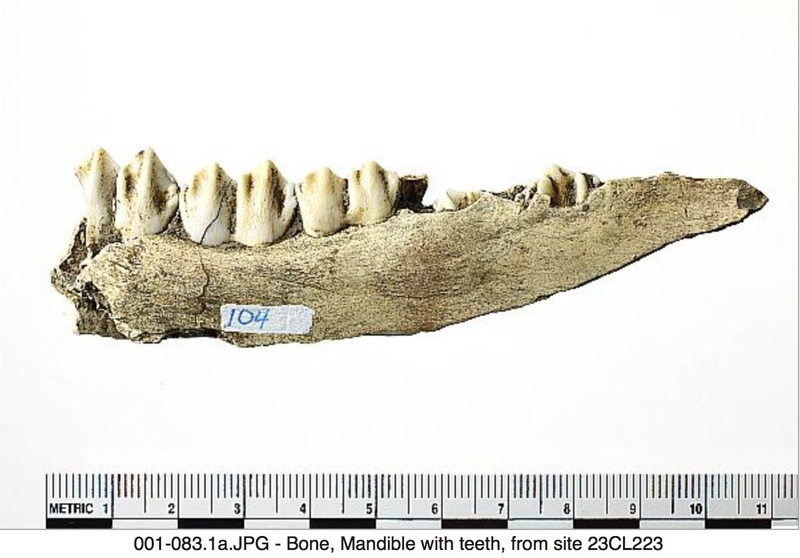 Tim Mead, an archaeologist with the US Army Corp of Engineers, contacted University of Missouri-Kansas City (UMKC) archaeologist Dr. L. Mark Raab to facilitate testing at Smith’s Fork Site. In 2009, Dr. Raab conducted an initial survey, which included ground penetrating radar and auger testing, and generated a map of the site. An interesting component of the site is a deep, black soil deposit which must have been culturally created but contains very few artifacts. From April to August 2010, the Smith’s Fork site was excavated by a crew from numerous institutions, including USACE, UMKC, Missouri State Historic Preservation Office, Fort Osage, Center for Archaeological Research of Missouri State University in Springfield, Johnson County Community College, Longview Community College, and the University of Kansas. Douglas Shaver of UMKC published a thesis documenting the geospatial data at the Smith’s Fork Site. 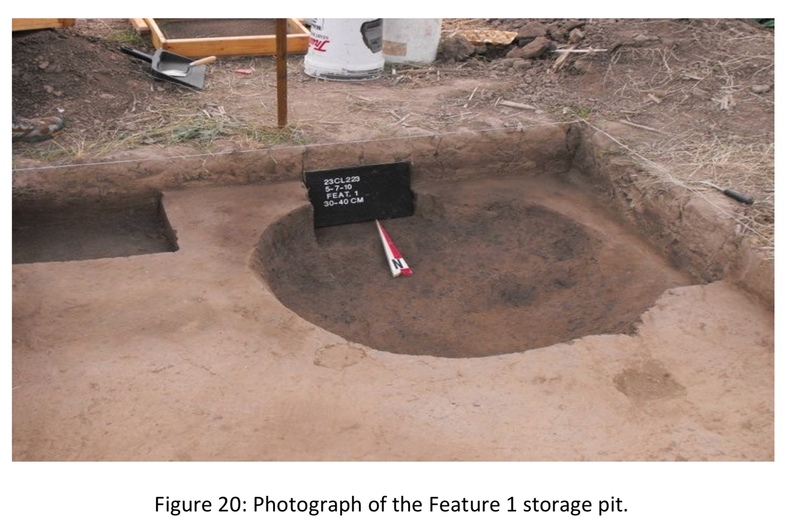 Additional fieldwork was conducted at the site in 2014; a total of six 1 x 1 meter excavation units were placed in association with the previously discovered hearth and storage pit feature. Sadly, the extensive modern farming activities at the site had badly damaged the Steed Kisker house that must have stood at the site. A soil discoloration reported by McFarlane and Suri (2014) is most likely the remains of a posthole. 2014 Smiths Fork Archaeological Site (23CL223), Smiths Fork Campground, Clay County, MO. Anthropology Papers and Presentations 3. 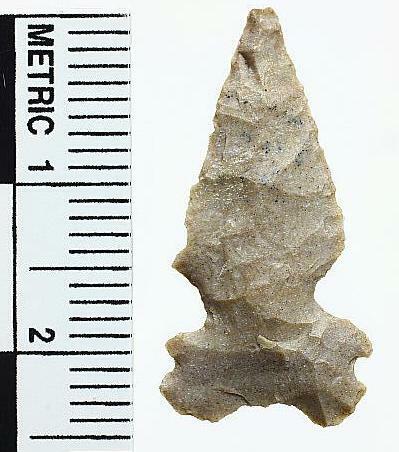 2009 A GIS Compilation of Field Data from the Smith's Fork Archaeological Site (23CL223), Clay County, Missouri. MA Thesis submitted to the Environmental and Urban Geosciences, UMKC. Special thanks to Veterans Curation Program in St. Louis and to Douglas Shaver for the digital images and advice concerning the site.